AKLTG trains 70,000 young people across Asia by delivering 75 learning programmes to develop and foster lifelong learning skills. AKLTG have been using TetraMap for 4 years and believe that is such a relatable tool that many learners can understand and apply TetraMap to their everyday lives. 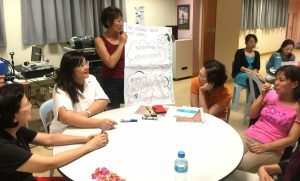 Priscilla and her team have conceptualised TetraMap in many distinct learning outcomes for students, teachers, and parents. These outcomes include improved communication skills, conflict resolution, mentoring, goal setting, public speaking, team building, classroom management strategies, self / social awareness and customer service to name a few. Recently, Priscilla was engaged by a client from a private educational institute to train some teachers in customer service. Priscilla had a major concern. The Earth parent has arrived to pick up the child and asks the teacher “how was the earlier excursion?” The Water teacher probably starts answering by first building rapport, talking to the “heart” and sharing the experiences the child went through. The parent may not appreciate the teacher’s effort to share the experiences in class and perhaps finds her long-winded. As a common trait of people who have high Earth preferences, they prefer people to approach them in a direct manner. The teacher probably feels intimated by the parent and wonders why the parent is uninterested in what she is sharing. Does the parent not like her? This was one of the common challenges the teachers from this institute faced. Among the 100 educators, who attended the training, there were only 2 with Earth preferences, 20 with Fire preferences and the rest were a mixture of Air and Water preferences. The first layer of TetraMap learning outcomes provided the teachers with an insight about themselves, “Why am I like that?” The second layer fostered an appreciation of the unique strength other elements brought to the table. The third layer was about applying what they have learned. The teachers’ role played the typical situations that they may likely face with parents whose Elemental preferences differ from their own. Priscilla was pleasantly surprised during her follow-up meeting with the client. He shared with her that the teachers are still asking one another about their Elemental preferences and were even using TetraMap as a common language among the faculty. The school has definitely been TetraMapped! Now it is time to TetraMap their customers – The Parents. 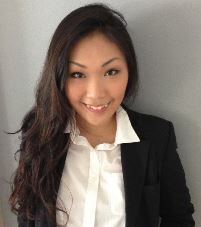 Priscilla Looi is the Research and Development Manager at Adam Khoo Learning Technologies Group (AKLTG) and when it comes to curriculum development, she is the go-to lady for the company. She has taught over 10,000 learners and clocked more than 5000 hours of training & facilitation. Priscilla’s arsenal of career guidance tools includes DISC and TetraMap which help her to fully understand and unleash her client’s innate strengths and potential. In addition, to the 75 programmes run each year that includes: talks, workshops, camps, conferences and large-scale events. AKLTG also provide programme design, curriculum development, project management and consulting as turnkey and integration services.